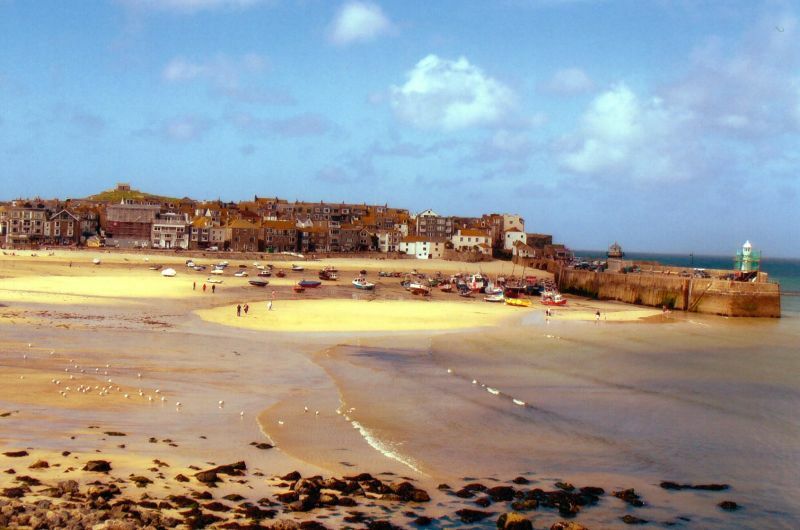 Smeaton's Pier to the north east of the harbour was built between 1767 and 1770, designed by John Smeaton. In the design the attractive squat lighthouse at the end of this pier is of coursed granite ashlar, octagonal form on large square plinth, domed mental roof and iron railed balcony. It is largely used as a lighthouse. Smeaton's Pier was lengthened 1888- 90 and at its head is a small octagonal lighthouse. Including the West Pier which was erected in 1894 for shipping roadstone from a local quarry. Also including the harbour wharfs along north and west harbour, ramped walls and slipways.